Parenting is the most important job that any of us ever have – raising children to become responsible, caring, compassionate and resilient. It is also one of the most challenging and frustrating so we provide a range of parenting programs to help you do the best you can in this critical task. We’re about building on families’ strengths and helping parents create a home environment where children thrive. By gaining important insights and learning new skills parents via our parenting programs, you’ll be better equipped to help your children reach their potential. Please click on the down arrows on the right for more information about our programs. This is a 3 week course for parents of 2 – 12 year olds. Learn how to manage behaviour without arguing or shouting. Learn effective methods to stop unwanted behaviours, increase co-operation and enhance your relationship with your children. Some men have attitudes and behaviours towards their partners and family members which harm their families and children. This is a group program for men who want to improve their parenting skills and be better fathers. This 8 week program is suitable for parents of children 0 – 5 years. It will help you understand your child’s behaviour, help your child manage their emotions, develop skills to build a positive relationship with your child and to build their confidence and self-esteem. Deals with the impact of domestic and family violence on children. It helps parents understand what to look out for at different stages of a child’s growth and development. It also teaches parents how to assist their children and help them heal. Helps parents understand baby’s development and crying cues. Parents will learn several massage techniques for babies. Parents love their children and want the best for them. Following separation, parenting can get tougher. This is a 5 week course for separated parents who are experiencing ongoing conflict. It is designed to assist parents to see separation through their children’s eyes and provides tips on how best to support children through separation. Provides an opportunity to meet other parents in your area and build community relationships. You can share your experiences and ideas and learn about general wellbeing and how to best care for yourself. understanding of how to help your child manage strong emotions. Builds on the Positive Parenting Program (Triple P) seminar detailed above. This group program helps you develop and practice the skills. 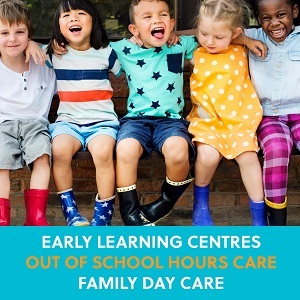 Our playgroups help children to explore and learn, and provide a place for parents to socialise and discuss their children’s development with a qualified worker. Playgroups help children improve their social, motor and language skills in a safe, fun environment. Please contact our Centres for dates and times. Children who develop emotional intelligence often do better emotionally and socially and have better health and fewer behavioural difficulties. Learn skills to assist your child in understanding and managing their emotions. Explore how to deal with frustrations and conflict and how to develop good social skills and positive behaviours. 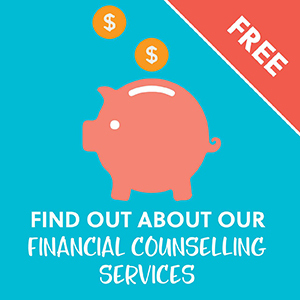 This program is based out of all our Family Centres. Understand adolescent development, guide your teens increasing independence, learn how to deal with peer pressure and how to create opportunities for connection. Helps children and adults who have experienced trauma and abuse. The group is a unique journey of rediscovery and recovery that explores our lives. It involves creating a blanket – a representation of love, protection, warmth and safety. The blanket is yours to keep. Cost: $60 per family to cover materials (financial concessions are available).